Hi I had two suggestions for the forum the first is for a MOC category to be added as at the moment it’s a big part of AFOL life that is missing from brickset. People could post a new topic telling people about their MOC. The second is to add another new category with a topic for each line Lego currently has. No other topics will be started in this category. The point would be for people who like a line to have a place to take about it without needing to start a new topic every time something small happens. I would also help create small communities within brickset. Any thoughts on the idea would be appreciated. - There would be dozens of topics, the number of which would grow over time. There's also the possibility that discussions and the community would become too fragmented. However, I can see the value of both. Discussing MOCs is something I suspect many would want to do and at the moment other than the 'everything else' topic there's nowhere else to do so. The community is now probably large enough that fragmentation might not be an issue any more and perhaps if, rather than specific themes, topics for 'licensed themes', 'constraction', 'girls' (! ), 'historical' etc. as grouped here: http://brickset.com/browse/sets, were used instead it would be more manageable. Let me know what you think, if there's a strong case the admins will discuss and implement. Don't we have the Building and Techniques category for Mocs too? I don't mind theme categories for discussion but I would prefer there not to be a "Girls" one! There is also a hodgepodge of other MOC-related threads that organically appear at times in the building and techniques section. I think the MOC section of the forum is currently covered pretty well. Just as we don't want a dedicated thread to each and every Ideas creation that someone is pushing, I don't think we want people opening new threads for every MOC either. The Brickset forum fundamentally works more off of long-running evergreen threads that just continue to get added to and evolve, and not as much off hundreds and thousands of one-off posts, like other forums operate. I think this is a good fit for the community. As for separate sections for each theme, I like the concept, but also think perhaps a single *thread* per theme might be the way to go as opposed to an entire forum section which would end up with dozens of one-off conversations. Thanks Huw, always the first to post on these kinds of topics really great to see. The good thing about specific themes is that it is easy to understand what goes where and although there would be a lot of topics if it had a category then just the top 5 would show on the home page. Just because someone wants to talk about Harry Potter does not mean they want to talk about Jurassic world. I can see the value of putting lines together but this is harder than it look, I would also put girl lines together but I would call it Minidolls and have Friends, Disney Princess and Elves but they are in 3 different groups on brickset. 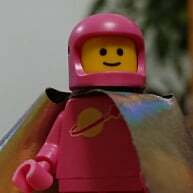 Not many people would look for space under Action/Adventure and I feel like other sites suffer from trying to make there own categories in this way unless there is a hard rule like non minifigure lines. But saying that I would use a historical topic and a licensed topic although I would hope at least the big ones would have there own topic like Star Wars and Super Heroes. As for MOCs this is not something I have found on brickset just by browsing so I think giving it its own category would make it a much larger part of brickset life. I think the MOC side is covered well enough, it's just not a MOC category. Not a fan of sections per theme. Think it will fragment things and leave a lot of dead threads. And once you go down that route where do you stop? There will always be the same argument for more sub sections. Then you have the issue of policing. Bring up superheroes in a star wars thread for a valid reason, will people start getting over pedantic? I see this forum like a pub. Everyone has different interests but still talk together and mix things up, sharing ideas, opinions and info, regardless of theme. Things can go off at a tangent but still remain relevant. I have dealt with 1000's of stag, corporate and group events and there is something I have learned that I say to people and is relevant here. Have a basic structure and guidelines but the more you organise and regiment groups/events the harder it is to control and the less people enjoy themselves. I like it the way it is, if people want lots of specific themed topics then Eurobricks has that covered. Its always good to be different. That seems like a clone of Eurobricks. There would still be the same problems as Eurobricks too. Where does Scooby Doo go? Misc or Action/Adventure? Where would LOTR/Hobbit go? Historical? Misc (it's not really 1 off)? At least it wouldn't have insane signatures wasting everyone's time. They are easy to turn off at EB. This is why I think a one topic one theme is the way to go but unlike eurobricks it would not be a forum for each theme but just one discussion for each line (not one pre year, or one for sets and one for media but just one), the smaller lines might not see much action but I really do think it would work well and at the moment I do think brickset does miss the one thing EB does well which is to have communities. So maybe I need to write something a little longer and when I have the time I will write something more detailed. Let me just put this out there Brickset has at time of writing 47 member and 11 guests on the forum, Eurobricks has 158 members, 750 guests viewing there forum. There might, just might be something Brickset could learn from Eurobricks. Don’t get me wrong brickset has a lot going for it and Eurobricks has a lot of problems. Forget the numbers and look at the difference between signed in members and guests. Brickset has 19% of its forum views at the moment from guests, EB has 83% of its views from guests. I would say that the Brickset forum is hard to browse for people who don’t use it every day. I don’t want the Brickset forum to become Eurobricks but I do feel there is room to expand upon what has been built. I am also guessing the numbers of people who use the forum would not come anywhere close to those that use the main site for news and the database. So why are people not being brought to the forum from the main site in greater numbers? How many of the Euro bricks members under 16? If you want to discuss a certain theme why don't you just start a discussion for it and see how it progresses, to see whether there is actually a demand for something like this? The 'Share your MOCs here' thread works perfectly well and I see no reason why threads like 'Discuss Star Wars sets here' or whatever, as ^ suggested could not serve the purpose you require. So, I think this pretty much shows that the forum is meeting the need for discussion as is. As said, if there is a topic you want to discuss about a particular theme, wave, or set, just start the topic. If people are interested, it will flourish. If not, it will age of the page. ^ None of those discussion are a continuous discussion on a line, just one offs over and over again with no continuity. So it kind of makes my point if anything. I could start a "General Star wars discussion", "General Super Heroes discussion" and so on but it feel a bit forced if that is not what is wanted. With the amount of people I see on both sites its hard to agree that the two sites serve a different audience. I am amazed at how closed people are to making improvements, not saying my ideas are the way to go but I don't think the forum matches the heights of the main site it seems no one wants to make changes but people do vote with there feet. I do find that there is a tendency for some people on brickset to look down on eurobricks but that is where a lot of bricksets discussions come from. I find the duality of the two brickset sites odd with the main site adding improvement and updating regularly and the forum lagging behind. ^ I don't think anyone in this thread is closed to making improvements, only that their is disagreement on whether your specific suggestion is the right kind of improvement to make for this site. I like Eurobricks, I visit it a lot. But I do think there are some fundamental differences between that forum and this one in regards to who the audience is and what the intended purposes are. And that's ok. I don't think Huw's goal is to do what Eurobricks does. For example, that forum is much much more MOC focused than this one, which is much more collection/catalog focused. Creating a bunch of forum categories and topics doesn't magically lead to a bunch of "general" discussions in any of those topics. It's just a holding place for conversations to occur. But we already have those holding places, and anyone who wants to start a conversation can already do so. If they eventually die out of inertia, then that's the community saying they really don't have anything more to say at this time, which is what my examples above (and many others) show. A new wave or theme gets released, and we discuss it to death here until eventually there isn't anything new to say. Then the patterns repeats again later with a different wave or theme. I am amazed at how closed people are to making improvements. Or alternatively, "I am amazed at how closed people are to making the changes that I want"
What things do you think could be improved? I prefer conversation to have a natural flow. i think the forum here functions fine, and style changes are about preferences, not improvements. What would go in a "general" Star Wars discussion? Often people want to talk about specifics not general. Lumped together they may be general, but that doesn't seem to be what people want. If you want EB style, use EB (and don't get banned if you want to contribute). Personally I use both sites. If they become similar sites, then I'd probably gravitate to just one. ^^ That is a good point about preferences, not improvements and at some point it does come down to preference and decision has to be made. I also agree that some of the thing I don't like are to do with Vanilla Forums more than anything. The one thing I disagree with is that it would leads to mods having to be more active. Eurobricks choses to treat people like children (no wonder they attracted them), they run there site with the view that mods can behave how ever they like. There is no reason why a 'star wars' topic would have to be policed any more than a "Star Wars Episode VII Sets (Complete Line)" topic. The problem with Eurobrick is they don't have a general star wars topic they have, Star Wars 2015, Star Wars 2016, Star wars Wish List, Star Wars Media, and mods spend all there time telling people what they can and cant talk about. I know I'm relatively new round these parts but when I got back into lego it was purely for the older star wars ucs builds and spent a lot of time just reading varying posts on both here and eb. And while eb's separate forums was good for this, it alienated the other Lego themes to a point that if you actually liked more than 1 theme you were looked down upon. I joined both sites at the same time and can honestly say that I feel more at home on this forum. I do enjoy more than a singal theme, I also enjoy bricklinking sets that I could not afford and eventually I will have a bash at MOC's but whatever I chose to do I am a fan of Lego and building with it and I think that this site caters for that better than others with the format it has. Anything about star wars would go in there when we hear news about new sets that will be what everyone talks about and the conversation will move on. I didnt say I wanted EB style, on the other hand everyone hear keeps pointing out how bad the moderating is, how hard it is to read with all the signatures and how many kids are there. So why do you and I and a lot of other AFOL us it? I use to use brickset just for the buying topics as they are better than EB they are probably a few other areas where brickset is better too. But for collecting which brickset is all about I used EB because I could talk with a theme have an ongoing conversation with the same people. Trying looking for talk about Nexo Knights on here, its under '2016 sets names found on Amazon'. I said MOCs could do with its own category and everyone said no it has its own topic, now if I said the opposite about UK Shopping and said we don't a category lets just make one topic everyone again would say no we need different topics. People will agree to keep things the same and wont use the same logic when looking at two different things. Now some people will also think I want to make it just one topic and not understand what I am trying to say at all. Trying looking for talk about Nexo Knights on here, its under '2016 sets names found on Amazon'. How is the first sentence there any different for having a new thread for each new major piece of news? As it is, every time sets related to a new film are released, or a new year's sets are announced, a new thread is made, where it is discussed...and then people move on. Otherwise, you'de just end up with one big megathread which would go on for ages and the topic would change all the time. Surely it's more organised and easy to find info when it's all in specific threads with sensible titles. I just thought that if there was a new category with topics for each line then this would be something easy for everybody to find, If a new person was looking for something like ninjago even if ninjago had not been talked about for some time it would not be too far down the list. As it is if I started a new ninjago topic it could be lost quickly. I wanted to make it easy for new people to have a place to start for people that don't read the whole forum and for non members who are just browsing. I think the forums are great. Topics naturally run their course and some meander depending on the discussion. I think we all get weary of multiple discussion topics that overlap, but you are going to have that happen no matter how well one categorizes the threads. When news breaks, I don't think a 'breaking news' thread would be helpful because topics can stay active for months and months - and nobody likes trying to follow five different discussions within a thread. Although I do agree the mushing of MOC discussion to into 'Everything Else Lego' would probably be better served with a separate MOC sub-group. I would also suggest putting a few 'keyword' descriptive terms just below the title of the discussion with relevant Lego themes. I think this would help differentiate topics. I also agree that improving the search options for threads would vastly improve the experience. Particularly with the Marketplace threads. Along those lines, for people who routinely buy, sell and trade, having the option to keep one topic open and be able to change the thread name to reflect changes in items sought or available would be helpful as well. And some discussion topic title editing would also help a bit to better clarify things. Actually, allow myself to correct... myself. The 'Building and Techniques' section is completely sufficient for the MOC and Ideas topics. I think folks like to suggest changes for the sake of changes or they don't necessarily appreciate why things are the way they are. I think more expansive search options would be helpful. Or perhaps a moderator review system for new topics in the Collecting and Buying and Selling sections, to narrow duplicative topics. I love Brickset and Brickset forum. I literally log on every day if I'm able. I've only been seriously collecting LEGO for about 4 years and the majority of what I've learned about LEGO and the LEGO community has been primarily from Brickset since I don't know any physical people who are LEGO enthusiasts where I live. I've just recently become a member of EB also. Brickset and EB are two completely different animals. Brickset is primarily for LEGO enthusiasts who collect LEGO and/or buy LEGO for reselling. Most members collect sets and/or minifigures and keep them just as LEGO designed them and like to discuss topics revolving around this in a casual atmosphere. I'm not saying that there aren't any members who do MOCs, I've just started to heavily do them myself, but if you look at the threads that are about building and sharing MOCs or LEGO photography you will see that the majority of posts are usually done by the same people. Under the category "Building and Techniques" I don't really see any threads about techniques. So these threads:The Brickset Builders Guild - share your MOCs here! The Brickset Photography Guild - Share Your LEGO Photography Here! are currently sufficient enough for members of Brickset who like to do MOCs. @LordofLego has also started something he calls Nice Parts Usage that we hope more Bricksetters will join. EB is all about MOCs. Do they discuss new sets and collecting? Yes, but it is primarily a site for people who enjoy ripping sets apart to make their own creations and want to share those creations with other LEGO enthusiasts. People there are usually very positive and encouraging when you share your MOCs and get involved with specific building threads. EB is not a very encouraging forum if you want to just casually talk with other LEGO enthusiasts. Scroll through a thread having to do with a specific topic like "Rumors for Marvel LEGO Sets in 2015" and you'll see all these people who have been BANNED from EB because they went off topic. When I first started visiting I was afraid to say anything wrong. I've occasionally posted things here that I regret saying but I'm still here and I am grateful. This thread was started in 2011. Obviously a lot of it is not relevant to today. Destroy our masterpiece of banter?!??Blasphemy! "I'm not saying that there aren't any members who do MOCs, I've just started to heavily do them myself, but if you look at the threads that are about building and sharing MOCs or LEGO photography you will see that the majority of posts are usually done by the same people." That's a good point but does that mean people on brickset don't MOC or don't post them on Brickset and if its the second why not. I would also say that EB is all about collecting the topics that are always at the top of the sub forums are always the main general colleting topics, yes the moderators kill these topics time and time again by stopping people having a conversation but they are still at the top of every page. When I started to collect Lego I would browse the brickset forum, I saved this to my favourites. But I never made the link to other topics as they seems a little random and I didn't become a member. So I looked around and found EB, with topics for collects where you can site in one topic and talk in a conversation that moves on but doesn't end. As I collected more there was a topic for everything I collected. So as a collector I find it odd when people say EB more for MOCS and try and make out its a completely different audience. I should fit into the brickset group, I collect and don't MOC (at the moment), I am English, not that young (30s), bit middle class, educated, good job although I do have a bit more hair than @Huw. I came to brickset first, I made an account for the database and added my sets, I read the forum. So why did I then move onto EB. This is not about what kind of AFOL I am. I still think it would work a lot better if it was created by @Huw in its own category with other general line discussions. @SMC Seems like you're taking what you think is right, and now forcing it on the forum with 7 (Edit, now 9?) new threads in the matter of 10 minutes. If you want to test out your "theory", try it with one thread like you originally suggested, not however many you're throwing out there now. Maybe it's just me, but I'm rather annoyed. If you prefer EB's structure, go to EB. No need to force it on us here. I think the rest of us like the way the forum works, dis-functionality and all. Sorry if it upsets people, I did just start with one (Star Wars) but sets numbers and prices have been added to amazon.de so I saw it as a time to try it. Rather than starting 7 topics with just a title I had some information to add. Give it a week and it will be used or will be gone having fallen down the list if no one post. I will be added more set info that I have to each one over night so as well as trying something new I will be adding something to the site. I do agree its not really something a member should do (starting topic after topic) and it would annoy me, so sorry for that. I wont add any more but will post more info on the ones I have made, if a mod asks me to stop or wants to delete/lock than I am ok with that and understand. If you were truly sorry, you wouldn't have done it. I can understand trying your idea for the SW thread, but then you proceeded to launch 9 other threads. I'm not so annoyed by you trying out your idea, as I am about the fact you're trying to "force" it on everyone. Keep your ideas to a single "test" thread, don't try to push it on everyone with 9 other threads. If it ain't broke, don't try to fix it. Brickset works fine the way it is, it doesn't need to be set up like Eurobricks. Honestly, that's the reason I think it's successful. I am trying to add to the site I have not just started 7 topics but I am digging up all the info I can find to help, its a lot of work and I am not doing it for fun. This is not what EB has it is different. It would be better in its own category so it didn't push down the other topics, it would be better if a member doesn't try and change a site on hims own. So I am conflicted, but I don't think I am spamming. The best way to go about it is to stop and wait for a mod's input on the situation. I don't think you're trying to help the community, right now I only think you're trying to forcibly implement what you think is right. That wouldn't be the case if you had kept to your single Star Wars test thread. And despite what you keep saying, it's very, very similar to EB's (rather annoying) setup. The way some members see it now is that you're spamming. Take our (so far) courteous input, and stop. Also, I don't think "Give it a week and it will be used or will be gone having fallen down the list if no one post" holds any water weight considering how often you're commenting on your own threads. The few comments your threads have received have had automatic replies from you keeping them fresh at the top.... something else that's rather aggravating to me. I reason for the posts is I am answering questions that people have that I know the answer to or I am joining in because I have an interest in what they are talking about. I have stop posting new topics as you asked even thou your not a mod and I am trying to understand what you are saying. I don't have bad motives which doesn't mean its right and I am open to that. BTW, my comment was in reference to the SW topic you had already started prior to my comment. By no means was I suggesting you start ten new topics. And I'm sure @Huw would probably have had some thoughts about it before you opted to run roughshot over a forum with a well-established pattern of discussions. If anything, starting one 'General' discussion and giving it a week to see if there was a positive response would have been a much more measured approach. I'm sure we all appreciate the enthusiasm, but exercise some restraint. OK thanks SumoLego nicely put I can understand that. I am unsure if one Star Wars topic will really test anything as even if you call it general topic or whatever and people use it a lot what does it prove that people use one off topics. Some thing just have to be tried to see if they work or not, although a member shouldn't take over/spam/in force his will so again sorry for that.